That's what I said. Mormons should stop identifying as Republicans. Wait, come back here! I'm not finished. It's a very easy thing to assume the politics you identify with are consistent with your religious values. More often than not, they are -if we are discussing the values of conservatives and liberals, and not Republicans and Democrats. Conservative and liberal values tend to remain somewhat consistent. Republican and Democrat values, on the other hand, have proven to be wildly erratic, and have even shifted over time to where it's been hard to tell who stood for what. Both conservative and liberal values can be found in the gospel of Christ, and in the U.S. Constitution. Democrat and Republican values? Not so much. I bring all this up because even though we just got through another election period -a time when historically the political vitriol finally tends to settle down- Americans are still divided against each other more viciously than I've ever seen in my life. This is by design, because even though all of us-particularly those who claim to follow Jesus Christ- should be infused with both conservative and liberal values, we have been manipulated into thinking we have to choose a side. But when you choose one political team over another, you close yourself off from receiving information you need to make informed choices. You won't notice (or you won't want to notice) when your team is behaving badly, because the spokesmen for your team frequently omit some of the facts you need to know. 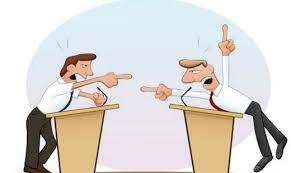 To politicians, there is nothing more important than winning, therefore politics always devolves into a game of lies. One side may be more straightforward than the other at any given time, but neither party has ever been honest and forthcoming all the time. Not by a long shot. Let's set aside for a moment the idea that being conservative or liberal has anything to do with politics. Put that out of your mind for a moment and just consider what those words actually mean. Because you doubtless possess both conservative and liberal characteristics. At least you do if you are a well-balanced person. Some people are more conservative than others, and some people are more liberal. The trick is to find a balance between the two. Otherwise you could become a zealot, and zealots don't get along with anybody. Generally speaking, a Conservative is a person who is rooted in tradition. He or she prefers to be cautious, and is not inclined to act rashly. A Liberal (again, speaking generally) is a person who is open to new ideas. Sometimes a liberal acts rashly without first weighing the consequences of those actions. Notice anything about those two definitions? In the first place they sometimes do describe political tendencies, and in the second place both sets of characteristics have both advantages and disadvantages to the person tied to those characteristics. If you have traditionally conservative tendencies, you might at times be too cautious, resulting in your missing out on romance, or what could have been a life-changing business opportunity. Conversely, a liberal might act too impetuously and not only mess up his own life, but the lives of others. Actions entered into with radical aplomb can leave behind a trail of broken hearts and broke investors. One reason tradition has served us well for so long is because on the whole, tradition works. Long-standing traditions have often been beneficial to mankind. But tradition alone can sometimes be based on a faulty premise. For centuries the British people believed that their long line of kings had a "divine right" to rule over them, which meant that they believed the king was on the throne because God Himself willed it so. Whatever the king decided was the will of God. Then along came John Locke (1632-1704) who argued there was no such thing as the divine right of kings. Locke was a key philosopher of the Enlightenment period, and came to be known as the Father of Liberalism. His writings were well-known among America's founders. Still, the great majority of Americans were reluctant to break with the king. In fact, they didn't so much think of themselves as "Americans" as they did British subjects living in America. As subjects of the crown, they were entitled to the protection of English common law, a set of open laws developed over centuries and rooted in biblical law that protected the rights of the people. Never mind that King George hadn't recognized the people's rights for quite some time. Those living in the colonies remained reluctant to act rashly by kicking the king's soldiers out of their country and ignoring the king's unlawful decrees. They held out hope that the king would come to his senses and go back to honoring their rights under English common law. Then in 1776, Thomas Paine, an English corset maker who had immigrated to America just two years previous, published a pamphlet titled Common Sense, in which he argued that separation from the king was really the only reasonable option the colonists had left. Paine's argument persuaded the colonists to let go of their faulty tradition of devotion to a king. They became open to the new idea that common law rights were universal; they had every right to govern themselves under the protection of the common law, and they didn't need any king's permission to do so. They had a God-given right to live as they pleased. Paine's pamphlet was, in my view, the most cogent and effective liberal argument of all time, and it turned the tide of sentiment toward independence from England. When you read the U.S. Constitution, you'll notice that document has both conservative and liberal elements to it. It is conservative in that it carefully and narrowly defines the roles that public officials are bound to abide by. That document is also conservative in that it is concerned only with the behavior of public servants. It does not apply to the rest of us. You don't have to obey the constitution, they do. That's why every public servant, upon being hired, is required to swear an oath to protect and defend the constitution. I've heard people say the constitution was a contract involving people long dead, that no one in this generation ever signed it, so what use is it? Well. You and I don't have to sign the contract between the government and the people, but the contract is renewed every single time a government official swears that oath. That is what keeps the contract alive; if they don't want to enter into the contract, they don't get to govern. The rights of public officials to act are narrowly defined, which is the opposite of liberally defined and interpreted. So where is the "liberal" section of the Constitution? That's in those ten amendments that make up the Bill of Rights. Every one of those amendments guarantees that the people's rights are to be liberally construed. As long as we do no harm to others, you and I are free to live our lives as liberally as we like, even if we don't always make the wisest choices. Not so our servants in government. The constitution restricts them in their actions, because if it didn't they might very well get into mischief. There are few things as dangerous as a politician who believes his position gives him liberal carte blanche to rule over the people. So How Did We Get Into This Mess? 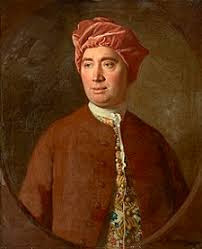 The 18th century Scottish philosopher David Hume came up with some brilliant political ideas, but he had one that was a clunker. Just as John Locke is considered a liberal, Hume is considered a conservative, and as a conservative he proposed that the mass of people are nearly always motivated by passion rather than reason, and so are incapable of intelligently ruling themselves. Therefore, Hume proposed, there needs to be an elite class to rule over the people -so long as the people give their consent to be ruled. Well, he got that first part right; most people are not capable of ruling themselves. But it doesn't follow that they need anyone to rule over them. The American founders went to a great deal of trouble to guarantee that the people's elected representatives did not rule over the people, but instead were to serve under them. If some Americans were unable to properly govern themselves, well then, so what? We all make dumb mistakes. God expects us to learn from our mistakes and continue on making even dumber ones. Your mistakes are yours to learn from. Just because some people happen to be chronically stupid doesn't mean anybody else is entitled to impose their will upon them, or on the rest of us, either. Speaking of passion, David be rockin' that shower cap. Little by little, and barely perceptible over time, the liberality of the government bequeathed to us by the Founders began to give way to Hume's safer, more conservative philosophy of government by the elite. Today many Americans believe that when they go to the polls on election day, they are choosing people to be their rulers. The problem with this belief system is that when some people end up with a master other than the one they had hoped would be ruling them, they react like petulant children. On of my favorite conservatives. Well, that isn't the way our government was designed to work. The most important elected officials, and the ones you should be closely monitoring, are your state and local Representatives. Why? Because those are the only persons in government you elected to represent you, and they are the ones most likely to screw up your life. Next up the chain is your state Senator, whose job is primarily to make sure we haven't talked our representatives into passing laws that would restrict the freedoms of any of our fellow citizens. The majority will always try to impose its will on the minority if given half a chance, so a salient duty of the Senate is to nip majority rule in the bud when it gets out of hand. This seems like a good place for a digression. Sometime in the first year of our marriage, circa 1980, Connie and I rented a U-Haul truck for our move from Provo to Salt Lake City. But when I drove the truck, I was chagrined to find the thing wouldn't go faster than 55 miles an hour, which was the federally imposed speed limit back then. No matter how hard I floored that pedal, the truck wouldn't go faster than 55. I learned that the good folks at U-Haul had installed a mechanical device called a "governor," the purpose of which was to make certain the truck never went faster than it was supposed to. At the time I thought that was a strange name for a piece of machinery, but I understand its meaning now. I could have all the "Adventures In Moving" I wanted, but I couldn't have an adventure that took me as fast as I wanted to go. There was a device installed under the hood of the truck that was there to temper any liberal urge I had toward behaving rashly. So it is in the political sphere. In a state government, as in the federal, the House of Representatives is the "liberal" branch, so to speak. It exists to enact the will of the people. If the members of the house understand their limitations, they won't pass harmful laws. But when they do pass a bill, it gets kicked up to the Senate for approval, where the Senators are expected to determine whether or not that law would be detrimental to the state. If the Senate passes it, the bill goes to the Governor. This is where the conservative aspect of state government kicks in. The governor's responsibility is much like the governor on that U-Haul truck. His job is to slow the process down, because sometimes bills are passed while everyone is in a high emotional state. Conservatism, by it's very nature, is careful and deliberate. Conservatism says, "now slow down a minute; let's think this through," and if the governor determines the law would be harmful to the rights of the people, he is supposed to put the brakes on it. The president's role is similar to a governor in that respect. That's the veto power. Does it always work that way? Heck no. Politicians are ever seeking ways to increase State power and decrease the rights of the individual. Nevertheless, the liberal-conservative dichotomy in government was the intent of the founders. Okay, that's the end of this digression. If the Senate approves of a bill passed by the House of Representatives, they vote to enact it into law, and then the President looks it over to make sure sure it passes muster. And if he feels it does, he signs it into law. If he feels it restricts the rights of any individuals as secured by the constitution, he can and should veto that law. That's how government is supposed to work. The elected officials had one salient responsibility: don't pass any laws that would infringe on the rights of any of the people. If an unconstitutional law still gets enacted, a person with standing (which means someone who has potentially been harmed by the law) can still bring it before the Supreme Court for relief. That's why I've found it amusing that so many Americans seem to think the current president has been elected as some crazy kind of Emperor. Why else would there be so many people coming completely unglued over his election? Never mind that Trump doesn't have the power to destroy the nation. It takes money to run a country into the ground. The president can only operate on the money given to him by the House of Representatives. He doesn't control the purse strings, and neither does the Senate. No president has the power to send you to war, or enact healthcare, or build any kind of wall unless you tell your Representative that's what you want and how you want your tax money spent. My goodness, there are some heated responses here over a post that I expected others would find as entertaining as I did. Perhaps you've missed the scenes with protesters angrily taking to the streets declaring "Donald Trump Does NOT represent me!" 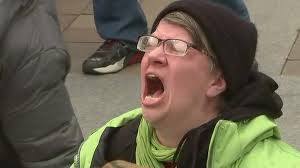 and "Donald Trump is not MY president!" Well, of course he isn't. He will be the president of the United States, not the president of the people. His job is not to preside over the people, nor to represent the people, and he certainly hasn't been given the job of "running the country." These crowds of idiots in the streets appear to believe some kind of king or dictator has taken control of America; that he can wave his hand and issue decrees at whim. And it's fun to watch because they are panicking over nothing. I found it vastly entertaining to watch these people freaking out because they fully believed their lives would somehow be upended after the election of a mere figurehead. If they want to whine about a politician representing them, they should have given more thought to their actual REPRESENTATIVES, because some of THEM are the ones involved in upending their lives. I can't see what good it does to howl about some guy whose jurisdiction extends only to one branch of government in an area that doesn't reach outside of the ten square miles of the District of Columbia. Perhaps a re-reading of the Hooven doctrine might get them to loosen up and relax (Hooven & Allison Co. vs Evatt, 324 U.S. 652 (1945) These poor saps are clearly confusing the "states united" with the United States. What the president has been elected to preside over is a corporation, not a country. I got a particular kick out of seeing Miley Cyrus tearfully and reluctantly looking into the camera and telling Donald Trump that despite her misgivings, she accepts him as her president. Why? Donald Trump is NOT "her" president! He's not my president either, any more than any president before him was my president. Let me repeat this as many times as needed: The president of the United States is not the president of the states, or anyone living within the boundaries of a state. He is not in charge of me, you, or the country itself, and he certainly does not represent the people of the united states. None of that is in his job description. Miley Cyrus, you are completely free of his influence on you. Donald Trump is not your president. You do not have to accept him as your master. The president is called the president because he "presides." And what he presides over is NOT the people living within the various states. He presides ONLY over the executive branch of the federal government; he is powerless to dictate his will to any citizen living within the boundaries of any state. So if you are a citizen of a state within the contiguous united states, trust me: you are safe from Donald Trump. He is powerless to enter your home if you don't want him there. You DO have the power not to let him enter. And if he tries to come in anyway, you can call your county sheriff and the sheriff is obligated by his oath of office to have the President of the United States arrested and taken off to jail. That is a stone cold fact. May I remind those currently panicking over all this that the president's job is not to MAKE law, or issue royal decrees, but merely to implement the laws that have been made BY THE PEOPLE themselves via the instructions THEY gave to their local representatives? This is not to say that an unchecked president cannot cause a certain amount of mischief. Bill Clinton did, George Bush II certainly did, because the congress lacked the backbone to restrict him in his unconstitutional and immoral wars of aggression. And Barack Obama did his share of overstepping. But again, that was with the collusion of the congress that the people SHOULD HAVE kept in check. These men succeeded in causing trouble only because both houses of congress neglected to keep these men confined to their narrowly defined cages. Thanks to the division this election has caused, it's likely the presidency of Donald Trump will be kept on a shorter leash than we've seen of any president in decades. And that won't be a bad thing. None of these former presidents had the power to fly over America destroying cities with their heat vision and leaving destruction in their wake. They may think they're important, but that's mainly because everybody keeps telling them they are "the leader of the free world," a nonsensical, empty, and meaningless phrase if ever there was one. If you're concerned about keeping your individual rights and freedoms, keep an eye on the house of representatives. That is the ONLY branch of government that represents the interests of the people, and they are the only branch with the power to furnish ANY money to the president, and to withhold the money he might require to implement his schemes. The president can express all the grandiose plans he wants to, but if he is given no money by those holding the purse strings, he will be sitting on his hands for the next four years, and occasionally entertaining foreign dignitaries for photo ops. The two main reasons the United States Government even HAS a president is because 1). Someone was needed to veto any unconstitutional bills that might have made it through the first two houses of congress, and 2). SOMEBODY had to be available to meet with foreign dignitaries from time to time. The Founders were really stuck on that one for days while they were hammering out the constitution. Clearly, SOMEONE in government would have to be available to meet with the President of France. But who? It wasn't feasible for all 535 members of congress to make that lunch date. So they settled on the idea that it should be the same guy who vetoed the bad laws -because they had already figured out that congress should not be in the business of enforcing its own laws. So they gave a sort of "figurehead" status to the guy who would be charged with enforcing the laws, so that same guy could represent the government (not the people) when foreign heads of state came a'calling. At first the Founders debated whether it should be three co-presidents, because there was some concern that if there was one man in that office some Americans might one day think of that man as the king of America. Then they realized Americans would never get to be THAT stupid, so they went ahead with the one guy, and just gave him very little authority to do anything. Our rights and freedoms are not threatened by the guy in the white house. We lose our freedoms because they are LEGISLATED away by the congress, and because we don't keep on eye on the district courts, the ones depriving us of more rights every month than the Supreme Court would ever attempt to do in a year. So to those who can't help but take to the streets crying and blubbering and shaking and quaking with fear just because some blowhard was elected to the LEAST powerful office in the land, I say keep it up! I know I'm not being Christlike when I laugh at dumb people doing dumb things, but heaven help me, I can't help but be entertained by your antics. The biggest problem I have with Democrats and Republicans is that both parties represent and promote Statism. Instead of constantly quarreling over which party should have dominance over the other, why not recognize that both parties are hell-bent on dominating us? Statism is the belief that the state (i.e. the government) should have control over the economic and social affairs of the people. This is antithetical to the Christian creed, as well as every principle this country was founded on. Yet it's undeniable that both major parties are now engaged in a fight to the death over who will rule the people. Why are we helping either party engineer our destruction? Why aren't we all resisting them both? Imposing your will on another person against his will is immoral. Using the power of the State to impose your will on others is immoral to the umpteenth degree. I don't know how any believing Latter-day Saint thinks he or she will be able to skate past the judgment bar trailing that obvious sin stuck to their shoe. "Here is the Golden Rule of sound citizenship, the first and greatest lesson in the study of politics: you get the same order of criminality from any State to which you give power to exercise it; and whatever power you give the State to do things for you carries with it the equivalent power to do things to you." "There is nothing which I dread so much as a division of the republic into two great parties, each arranged under its leader, and concerting measures in opposition to each other. This, in my humble apprehension, is to be dreaded as the greatest political evil under our Constitution." We're going to have to wake up and recognize that our neighbor is not the enemy, but that The Powers That Be thrive on the hope that we will keep fighting each other. This infighting is important to them; it keeps us from casting a skeptical gaze in their direction. This isn't to say that we should not call our neighbor out when they make unfounded allegations. I do this on Facebook all the time when someone accuses me of being a racist or a misogynist. I simply ask them to provide some evidence. What I usually get back is a splatter of meaningless words boorishly strung together implying that I'm partisan toward Trump. Well, that's the problem, isn't it? People are so divided against one another that you can't even ask a person to provide reasoned evidence to support their accusations without it being assumed you're siding with the enemy. Obama the murderer has been replaced by Trump the murderer. Whom has Donald Trump murdered? One example only: He could have ended American bombing raids in Syria. Instead, he made more: “The US-led anti-IS coalition acknowledged carrying out over 100 air strikes in Syria between October 28 and November 3.” These killed numerous Syrian civilians. The latest report says at least 80. Obama’s robberies have given way to Trump’s. One example only: Trump has robbed Maine lobstermen. Tariffs on Maine lobster exports to China have directly robbed hard-working fishermen. Maine Senator Susan Collins should have extracted a tariff exemption for her vote on Kavanaugh. After all, he can be replaced easily with better candidates. He didn’t own the position, but Maine lobstermen do own their capital and goodwill built up painstakingly over years. Trump robbed them for no good end. How about instead of bruiting about all those silly and unfounded allegations of racism, we engage in a bit of critical thinking for a change? If you don't know what that means, you're not alone. Critical thinking refers to the ability we should all foster of taking a step back and analyzing our own thought processes. It's the capacity for asking yourself the hard questions, such as "why do I believe this? Have I thought it through, or am I simply echoing what I've heard others say? What are my sources of information that helped me form these beliefs? Can I trust those sources? 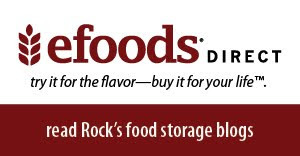 How do I know I can trust them? Am I able to articulate a reasoned, logical basis for my argument? Do I even know how to make an argument? Can I provide evidence that would back up my assertions, or am I just spouting empty platitudes?" No one likes to be told they are poor critical thinkers. (Trust me. I've tried it and people get very offended.) Yet very few people know how to think critically; most don't even know what critical thinking means. It isn't taught in schools, so how would they know? Happily there are a great many books, seminars, and even Youtube videos that can teach you how to think critically. 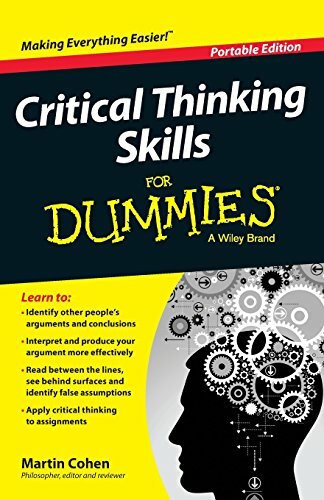 There's even a Critical Thinking Skills for Dummies book, which you have to agree is the most paradoxical title for a Dummies guide ever. Just reading the title made my brain explode. If you have any hope of persuading anyone to accept your point of view, you must periodically question your own assumptions. It can be a painfully revealing way to learn about yourself, which is why most people don't do it. Everybody wants to think they're right, but few people are willing to consider the possibility they might be wrong. Yet, if you don't engage in that one simple exercise, the downside is that every time you open your mouth everyone will know you aren't capable of thinking for yourself. You're just repeating some other person's empty-headed bromides. Was Joseph Smith a Conservative or a Liberal? Well, of course he was both liberal and conservative, depending on the circumstances. That's as it should be with all of us. But he was clearly liberal-minded. Am I saying the prophet's beliefs were compatible in any way with modern-day liberalism? Few political philosophies could be more illiberal than modern-day liberalism. Liberals in Joseph Smith's day were open-minded, tolerant advocates for freedom. Liberals today, as typified by the leaders (and many supporters) of the Democratic party, are closed-minded, intolerant, and tyrannical. If you happen to consider yourself a liberal but don't agree with that assessment, then congratulations: you can still call yourself a liberal, but your party has left without you. Back in Joseph's day, pretty much anyone who held views compatible with America's founders thought of themselves as liberal. We can tell Joseph Smith was a liberal from the things he wrote and spoke about. His political views came right out of the Founding Father's Playbook. If any of this sounds like libertarian philosophy, well yes. It's close. Kind of. Once the label "liberal" was hijacked by the intolerant Left, those who advocated for freedom felt they needed to come up with something that didn't carry all that Leftist baggage. "Libertarian" seemed a close enough variation on "liberal" since they both meant someone who advocated for liberty. The problem was that "libertarian" was originally used to describe communist anarchists. So that label was never ideal. Then there's the growing problem of people who have taken to calling themselves libertarians, yet are anything but. The label is now virtually indefinable. In the first place, "Libertarian" has become, in some people's minds, synonymous with a political party. It is that, but primarily it is a philosophy of freedom independent of parties. 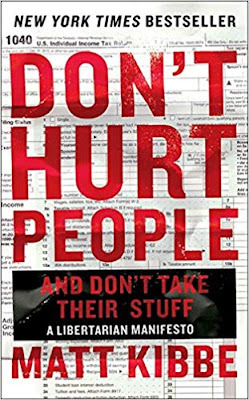 Distilled to its essence, that philosophy says "you shouldn't hurt people and you shouldn't take their stuff." And since it's immoral for you or I to hurt people and it's immoral for us to take their stuff, it's also immoral to support politicians who hurt people and take their stuff -even if they claim to be doing it for the people's "greater good." Yep. There's already a book about that. 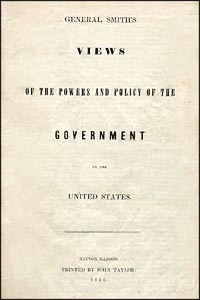 If you study a replica of the tract entitled General Smith's Views on the Powers and Policy of the Government of the United States, published not seventy years after the appearance of the Declaration of Independence, you'll see that Joseph Smith was right in line with the Founders (some of whom were still alive when Joseph was in his teens). Which is to say Joseph's liberal thinking, and that of the Founders, meshed rather well. In that tract Joseph uses the word "liberal" to describe our form of government, because that was the word used in those days to describe a political system founded on liberty. But he decries the millions of souls held in slavery for life, and insists that the main efforts of government officers, "who are nothing more than servants of the people, ought to be directed to ameliorate the condition of all, black or white, bond and free." "We have had Democrat Presidents, Whig Presidents, a pseudo-Democratic-Whig President, and now it's time to have a President of the United States. (Emphasis in the original.)" Joseph said America should "abolish the cruel custom of prisons, penitentiaries, court-martials for desertion; and let reason and friendship reign over the ruins of ignorance." These are all positions any American liberal would have recognized not that long ago. I can recall in the 1960's and 70's that "conservatives" (like myself at the time) were more often than not advocating for locking certain defendants up without a trial and throwing away the key. The liberal position, conversely, was that an accusation did not equal guilt, that everyone was entitled to due process, and that America's prison system desperately needed reforming. My, how times have changed. Today many in the Democratic hierarchy have shown themselves adamantly in favor of convicting people without due process, and are "totally fine with the incarceration rate" because there is money to be made off the suffering of others. Joseph's liberalism was not confined to the political sphere, of course. He often butted heads with traditionalists in the fledgling church who were not open to new ideas. Particularly set in their ways were some of the earliest converts like Sidney Rigdon and Parley P. Pratt, who came to Mormonism from the Campbellite tradition and were slow to accept ideas that were foreign to their expectations. He found the Saints simply not willing to consider ideas that were unfamiliar to them. “There has been a great difficulty in getting anything into the heads of this generation. It has been like splitting hemlock knots with a corn-dodger [a piece of corn bread] for a wedge, and a pumpkin for a beetle [a wooden mallet]. It's well documented that blacks in the deep South were, to put a polite spin on it, "discouraged" from voting. Any black person who merely tried to register was met with so many obstacles in the form of "literacy tests" and other ploys that it was easier to just give up and let the white man remain dominant. The question arises then, "why would anyone stand in the way of another person's right to vote?" The answer is simple: Tradition. Tradition in the deep South dictated that the black race was inferior, therefore a black man must never be permitted to be treated as equal under the law. It was Democrats who enacted the infamous Jim Crow laws, laws which actually made it illegal for a business to cater to Negroes even if the proprietor of a particular business wanted to. Whites and blacks weren't even allowed to play cards, dice, dominoes, or checkers together. It was actually against the law, and that sort of thing could land you both in jail. The movement for racial separation moved far beyond the South. In the 1950's "Whites Only" businesses and housing developments could be found as far West as Los Angeles. These "conservative" laws, intended to "conserve" tradition, were passed and enforced by prominent members of the Democratic party. In that era it was the democrats who considered theirs the conservative party; it was the Democrats who resisted new ideas. And that included Democrats in the North, who refused to challenge the Southern Democrats because the Southern Democrats virtually controlled the party. Southern Democrats were known to resort to anything, including murder, to keep themselves in power. What finally ended that wicked culture of false traditions was a more liberal tradition that superceded it: the superior tradition of the common law, which declares that all men are to be treated equal under the law. When mere statute law gets into a staring contest with the common law in America, the statute always blinks. In America the common law is the higher law. “The common law is the real law, the Supreme Law of the land; the codes, rules, regulations, policy, and statutes are “not the law”. - Self v. Rhay, 61 Wn (2d) 261. “There, every man is independent of all laws, except those prescribed by nature. He is not bound by any institutions formed by his fellowman without his consent." - Cruden v. Neale, 2 N.C. 338 (1796) 2 S.E. This is worth remembering: We the People consent to legislated law only as we defined it in the Constitution for the United States of America. To his everlasting credit, King was not known to have supported or voted for any politician. Still, his niece, Alveda King, insisted he was registered as a Republican. That makes sense, because if he was going to at least register, what was he going to do, register as a Democrat? The Democrats were the ones who were lynching his people. Donald Trump was not the first person to recognize that some news is "fake news." Nor did Donald Trump ever claim the mainstream media was all fake news or that the press was the enemy of the people. He has rightly pointed out what everyone already knows; that essential information is sometimes altered or withheld from the public by those very persons the public relies upon for accurate reporting. Pretty much everyone except Trump's harshest critics was aware of this long before Donald Trump came on the scene. I think we can all agree that Americans should be able to rely on the news media to provide the information they need in order to make informed decisions. "Fake News" occurs when reporters deliberately fail in that responsibility by twisting or omitting essential facts. So how did Donald Trump win the presidency while a classical liberal like Ron Paul couldn't get arrested? The answer is simple: the establishment media was not afraid of Donald Trump. But they were terrified of Ron Paul. They knew that if enough voters were exposed to the ideas espoused by Paul -ideas that were essentially Classical Liberal ideas- this reasonable, anti-establishment candidate could possibly win the presidency. So they decided to just ignore Ron Paul's phenomenal surge in popularity and just pretend it wasn't happening. They had no such fears about Donald Trump, a somewhat crass hotelier, former Democrat, and reality show star. Him, they treated as a joke, thus giving him loads of free coverage every single day. They ridiculed that guy right into the White House. There is some truth to the accusation Ted Cruz made during the primaries that Donald Trump is a New York Liberal. In fact, Trump's liberal bona fides may even be the reason so many on the radical left have such blind hatred toward him; his brand of liberalism represents a liberalism that is no longer found among establishment Democrats. It shows them up as hypocrites and traitors to the very causes they used to champion. Exhibit A: Back in January, Trump said he was open to signing legislation that might provide a path to citizenship for young people brought into the country illegally as children. (USA Today,"Trump Team Unveils Immigration Framework With Path to Citizenship for DREAMers.) That is a decidedly "liberal" position that for some reason has not been widely reported by most of the media. It contradicts the narrative they're pushing that Trump hates immigrants because he is a racist. Yet Trump has repeatedly refuted accusations that he is anti-immigration, pointing out that he is all for the orderly, lawful process that has always allowed for immigrants to enter our country legally. He has even denounced the laws passed by congress under Obama that forced the executive to separate children from their parents at the border, and signed an order of his own reversing that practice. Exhibit B: Trump's attempts to get congress to pass a comprehensive bill that would reform the criminal justice system. That, too, is the kind of plan that used to be proposed by liberals but is not anymore. This bill would result in the release of thousands of people -mostly minorities- who have been unjustly imprisoned for life for relatively minor infractions. The passage of this iniquitous law can be traced to Bill Clinton, who pushed congress to provide "throw away the key" legislation that would convince the voters that he, Bill Clinton, was tough on crime. As Lindsey Graham reflected, "wouldn't it be ironic if Trump fixed the problems caused by the 'Three Strikes' law passed by Clinton?" Yes, it would. And yet we're supposed to believe that the guy wanting to release blacks and Hispanics from the gulag is a racist, while the guy who got them locked up in the first place is a great humanitarian. If you make the choice not to be a political partisan, you'll be less inclined to fall for nonsense like that. Reader Rob Nielson just sent me this short article It''s well worth reading, and will save you a lot less time and effort than reading my own. What would be enlightened is for South Carolinians to wake up from the hooch hangover and kick that silk tongued, black hearted Lindsay out of office. Satan’s masterpiece of counterfeiting is the doctrine that there are only two choices, and he will show us what they are. It is true that there are only two ways, but by pointing us the way he wants us to take and then showing us a fork in that road, he convinces us that we are making the vital choice, when actually we are choosing between branches in his road. Which one we take makes little difference to him, for both lead to destruction. This is the polarization we find in our world today. Thus we have the choice between Shiz and Coriantumr—which all Jaredites were obliged to make. We have the choice between the wicked Lamanites (and they were that) and the equally wicked (Mormon says “more wicked”) Nephites. Or between the fleshpots of Egypt and the stews of Babylon, or between the land pirates and the sea pirates of World War I, or between white supremacy and black supremacy, or between Vietnam and Cambodia, or between Bushwhackers and Jayhawkers, or between China and Russia, or between Catholic and Protestant, or between fundamentalist and atheist, or between right and left—all of which are true rivals, who hate each other. A very clever move of Satan!—a subtlety that escapes us most of the time. So I ask Latter-day Saints, “What is your position frankly (I’d like to take a vote here) regarding the merits of cigarettes vs. cigars, wine vs. beer, or heroin vs. LSD?” It should be apparent that you take no sides. By its nature the issue does not concern you. It is simply meaningless as far as your life is concerned. “What, are you not willing to stand up and be counted?” No, I am not. What the 2016 election cycle taught me is that almost all my Mormon/LDS friends were revealed to be statists. I’m so glad your off hiatus. Rock,you always teach me something new almost every day! Your blog posts are always enlightening. I appreciate your knowledge and that you not only share it with others, but you have always shared it with your loving wife! Thank you so much. It’s so good to see you back at the blog. We all missed you. I'll give you a great big hearty AMEN to your article! I couldn’t agree more! I personally have been an independent voter since Reagan left office. The political circus has left me cold over the years, and I was always more interested in local and state races than federal anyway. I was a Ron Paul supporter and was disgusted with how the RNC shunned him, and barred him from their convention. I admit I voted for Trump, simply because he was so vilified in the press, hated by his own party, and absolutely loathed by the democrats. That suggested to me he is an outsider, which could me a very good thing. I could say refreshing. When I listened to his unedited speeches he reminded me in many ways of Reagan and JFK, both patriots. However, he is a brash New Yorker and that takes some getting used to. I hope he really shakes up the status quo (i.e. entrenched executive branch bureaucracy). We’ll see. On a side note, it’s a shame that the people of Utah elected Romney, but I’m not surprised. After all he’s famous, and we do like our celebrities. I still smile when I remember of his lack of Constitutional knowledge when he debated Ron Paul. Maybe he’ll finally get around to reading it someday. But beware of him Utahns. He’s not what he appears. Coriantumr- Resorting to negative and offensive regionalist stereotypes to make your point is not cool. You should be able to make your point without resorting to such unChristlike methods. Rock, the more I think of it, the more I become convinced that "the Great and Abominable Church" is nothing more than the State and statism itself, the desire to rule over others. We engage in these contests every 2-4 years to get our guys or gals in office to lord it over the others. This is in direct contrast to the "kingdom of God", which seems to me to be a live and let live arrangement, self-determination and decentralization. I think insomuch as we engage in these contests of power, we are propping up statism, the devils church. It is a contest between coersion vs statism, power vs voluntarism. The LDS corporation is just as much a statist as the members. Why? Because it is a driving force in forcing its beliefs onto non-believers via the force of the state rather than persuasion via teaching the words of Christ. Oh, wait, it doesn't teach the words of Christ, so of course people won't be convinced. I think you might want to read my posts again, Mark Moe. I didn't "tout" Trump before the election, but I did eventually predict he would win the election. That was a conclusion based on an objective observation, not an endorsement of his candidacy. You suggest I should "give up political analysis," but my analysis was correct, wasn't it? If it's your position that I promoted or attempted to sell anyone on voting for Trump (which is what the word "tout" means), I'm going to ask you to provide evidence for that assertion. Seems to me that a reading of my two posts prior to the election, "How Mormons Should Think About the Presidential Election" would show you that I was less than favorable toward any of the major presidential candidates, for the simple reason that all of them promoted positions that are antithetical to the gospel of Christ. I don't know how you can interpret that as "touting" one over any of the others. And woke up this morning to the news that George H. W. Bush, one of the most prominent Gadiantons hiding in plain sight, has died. He too ran out of time to repent. Rock links aren’t working but I’ll take your word on it. I’ll boil it down...trump isn’t honorable and the crap I hear that Democrats just want a hand out is crazy. Both left and right are dividing us. What ever happened to the middle in the US? As for mixing politics in your blog, of course your call. Good luck. Yeah, it's a good thing Captain Moroni didn't mix religion with politics either, huh? I'm glad you included the PragerU video highlighting the differences between "liberal" and "Leftist." Thank you for also including a solid definition of "Statism." I appreciate how both you, Rock, and Dennis Prager both seek after clarity. We get so little of it, anymore. Keep up the good work, and blessings to you and your wife. Mark Moe, the United States is actually more moderate than you would think. The problem is that the parties are being represented by candidates that appeal to the fringes of their parties. the whole we are Liberal and Conservative spiel of Rock points that out. Rock you stated "Nor did Donald Trump ever claim the mainstream media was all fake news or that the press was the enemy of the people"
Can you explain what you meant? Because short of carefully chosen and written words to a point that Dallin Oaks would be proud of, how does one explain this tweet? Isn't the intent of what Trump wrote quite clear? Especially when he, Trump, went further, on record, agreeing with Steve Bannon that "The media is the opposition party." Talking on Trump.. I knew he would come into power and why he is so hated by almost all over there. As I have said he owes NO allegiance to any party/politician/organization. No one basically can control him be it for good or bad. But if he holds to his promises, well he will be definitely BETTER than his predecessors? I to am a Conservative and a Liberal at the same time as most people are unless your a fanatic? BUT there is ONE thing every one agrees I hope and that is to be yourself and have no one rule over you nor your freedoms. In olden times they had no choice. But in our times we do and most if not all do not want to be lorded over even by a king or sheik or emperor. God gave us freedom to choice for one self,eternal principle. But I also acknowledge "some" who cannot-will not-chose not to govern self, too hard? And some of the people would love another to govern for them not realizing they are being made a servitude instead of being the master of self. Might as well be in prison. Israel said, "We want a king!" Samuel said, "That's a terrible idea and here's a list of reasons longer than I am tall." Israel said, "We don't care, we want a king!" The Lord said, "Then you shall get what you deserve." Mosiah said, "You know, both the history of the Jaredites and Israel were fraught with unrighteous kings far more often than righteous ones. When I die, the monarchy goes with me and you will be a republic." The Nephites said, "Yay, liberty! And we won't let a doofus named Amlici try to re-establish the monarchy in only five years!" Ask a lay citizen about cutting back the power of government today, and they will list all the reasons on why we should be enslaved to the state. Take note where the quotation marks begin. The Times does not quote Trump as saying "the nation's news media is the enemy of the people." The words just before the quotation were added by the Times. What Trump actually said was that "The FAKE NEWS MEDIA is the enemy of the people" an assertion that is demonstrably true, because when a news outlet manufactures a false narrative, it is the enemy of a people who rely on truth and accuracy. The Times artfully left out the qualifier in Trump's actual quotation because they wanted the reader to think Trump said what they wanted them to think he said. That's the very definition of fake news: the careful doctoring, massaging, and fabricating of a news story in order to make it fit the narrative the fake news perpetrator hopes to convey. I loved how he handled the Olympics! And he was humble enough to take a moment to stop and talk to me.my hope is that he will be brave enough to be a free thinker, not beholding to vote along party lines. You know, I have often said that the devil himself could be elected to any office he wanted—— even the presidency, if he ran as a republican in Utah.So what do you think? Did the devil succeed? Utah would be the last to know.The are loyal to who they vote for, Devil or not. Mormons son, so you enjoy Trump?,! You can have him is you’ll just take him far, far from the White House and our country. Give his 5 big screen TVs, some good ol’ fast food, and get him to retire on some isolated island. He can hav3 you to talk to about how great he is. Ya, you do that,OK?